For thousands of years, Korean families have been harvesting seaweed. A few millennia of expertise is hard to beat, which is why we entrust all of our sourcing to Korean family-owned farms. The seaweed is dried in sheets, then shipped in refrigerated containers to our factories to protect the quality before we roast or batter and flash fry our tempura to make the delicious Nora snacks we love so well. Ancient Korean wisdom and traditional Thai flavors come together for a modern fusion that will leave your taste buds tingling. 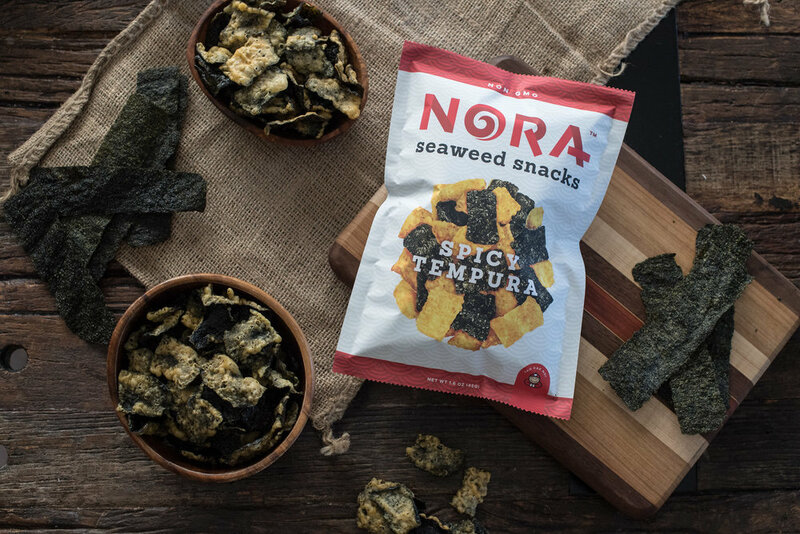 Delicate but satisfying, Nora Crispy Seaweed will send your tongue spinning. Crispy, crunchy, and mouth-watering, Nora Tempura Seaweed will let you relive the incredible food discoveries you found on the shores of Koh Samui. Lightly roasted in California with organic sesame and sunflower oil and premium quality organic seaweed harvested in Korea. With just a dash of sea salt, enjoy our healthy seaweed snacks in ready-to-go packs. To learn how you can take your customers on a flavor trip with Nora, or for any other questions, contact us. Explore the benefits of nature's finest food.